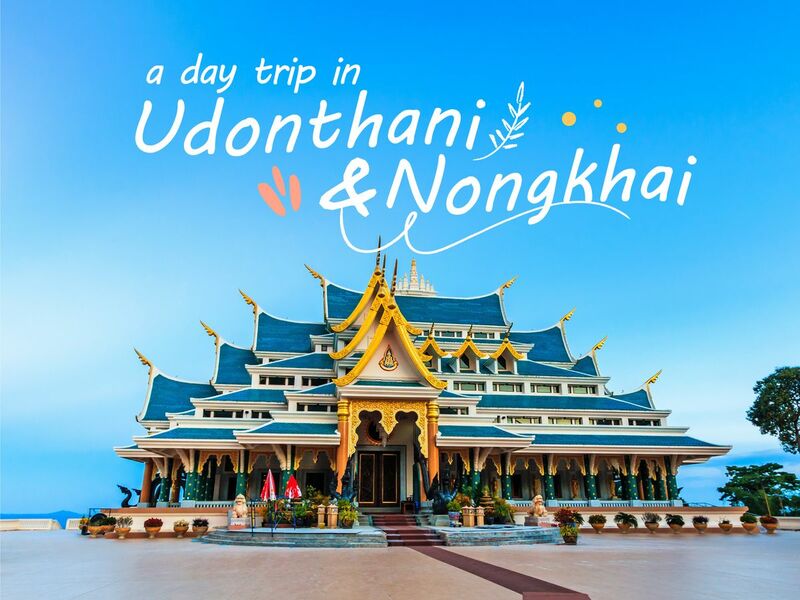 HomeUdon ThaniEnjoy Udonthani and Nongkhai in a Day! Arrive at the temple in the forest [Wat Pa Phu Kon]! Pay respect to the images of Buddha, walk around, go shopping for traditional Thai things and clothes, and chill out in the nature! Next, let's travel to Nong Khai to observe the town and its people! Visit a local market, try local food, and enjoy the vibe! It's time to send you back to Udonthani! The trip ends there! Thank you for joining me and I hope you enjoyed my trip! Wat Pa Phu Kon is an architecture and beautiful location, very impressive because of The huge Reclining Buddha, which was made from 43 blocks of Italian Marble, and the stunning mountain view. Wat Pa Phu Kon is around 200 km away from Udonthani city, the only one way to go there is via a private motorbike or car because there is no public transportation. I spent most of the time in the places where only local people visit. Couldn’t have done it without her! Thank you! I like it, motorbike and all. All You Can Eat: Tasting Thai Fruits Fresh from the Farm!